BECCA Cosmetics sold to Estée Lauder! For consumers, the news that Estée Lauder bought BECCA Cosmetics comes as a shock but for industry artists, this news has been known to be in the works for a while now. In July 2016, WWD reported that Castanea Partners and Main Post Partners were looking to purchase BECCA Cosmetics for $200 million but that deal fell through between late July and late September. By late September WWD was reporting that Estée Lauder was in the position to purchase BECCA. It seems that BECCA Cosmetics has been up for sale for a while because earlier in the year Piper Jaffray was looking to acquire BECCA. It was announced today that BECCA Cosmetics has now been acquired by Estée Lauder for an undisclosed amount of money but it's being rumored to be in the $200 million range. That's a far cry from The L'Oreal Group paying $1.5 BILLION (cash) to acquire IT Cosmetics earlier this year. So what does this mean for BECCA's formulations? Well, it can go one of three ways. The formulations could change if Estée Lauder brings the formulations in-house instead of continuing to use Gotha (Italy made items), Kryolan (German made items) and their US manufacturer (rumored to be Cosmetic Group USA). The formulations could remain the same if Estée Lauder continues to use the current manufacturers of BECCA's products. The formulations could remain the same if Esté Lauder purchases the formulations for the products. I've been told that BECCA does not own the formulations and the formulations are proprietary to the manufacturers. What do I think will happen? 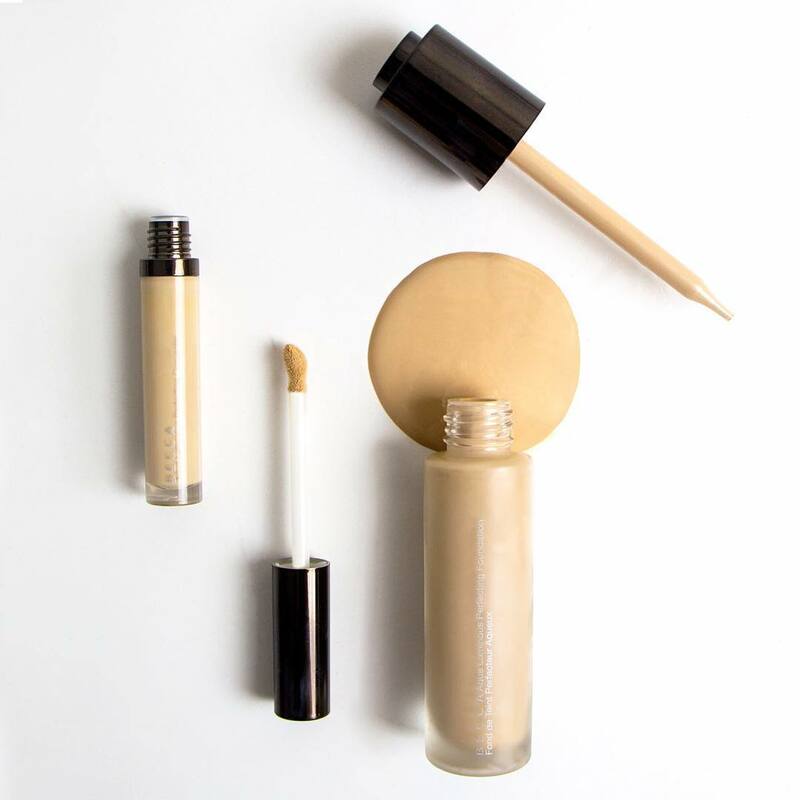 For now, Estée Lauder will continue to use BECCA's current manufacturers but within the next year or two, possibly sooner, the formulations will quietly change. People may start to notice that the products aren't up to par in terms of quality as it use to be prior to the purchase. Just keep an eye on the "Made In" location on the packaging. Kevin James Bennett asked today for other people's thoughts on this acquisition. Here's what I had to say. BECCA is a small company. It's also not a popular company like IT Cosmetics. BECCA has primarily used social media influencers in an attempt to jump from a professional line to a consumer line but has failed by choosing someone like Jaclyn Hill who ruined their reputation during that Champagne Collection fiasco. It doesn't help that rather than use their US manufacturer to make the shadows they went with a cheaper manufacturer which resulted in subpar products. My guess, they lost millions in revenue due to that and hurt their relationship with Sephora due to Jac's mouth. IT Cosmetics, on the other hand, is a cult brand. I know Jamie for a couple of decades now and she's brilliant. She was very smart to use QVC and infomercials for her products. She also utilized New Beauty's Test Tube (both NB and QVC's variation) plus beauty box subscription services (Birchbox, Ipsy and others) to get her products out to people. She's also very interactive with her customers. For those of you who don't know Jamie's history and her personality, she was Miss Washington USA (and yes, she knows Donald Trump) in 1999. After she went on to compete in CBS' Big Brother (first season) and was in the top 3. She used her charm to get where she was and wasn't ruthless like how today's contestants are with their plotting and planning. Several years later when she finished college she went on to work as a news reporter and this is when I first met her. She was smart and very ambitious. She knows what she wants and goes for it. Eventually, she moved on, left the station, fell in love, married and created IT Cosmetics using Korean cosmetic technology at a time when Korean skincare wasn't really popular out here (but has been for ages in Korea). She had the foresight to realize she was onto something because the popularity of Korean skincare and cosmetics happened. Like I said, she's smart and perceptive. She listens to her customers and because of all this her company is a multi-billion dollar company. She was very smart to sell it to L'Oreal who have been smart not to stop using Korean manufacturers. BECCA, as I mentioned, had a HUGE reputation and financial hit over the Jaclyn Hill fiasco so of course, the evaluation of the company went into the tank. It's highly possible that they were on the verge of bankruptcy because, from my understanding, they couldn't secure more financing from investors and then their deal to sell to a different company fell through which allowed Estée Lauder to purchase BECCA for $200 million. Now here's the big thing. BECCA most likely doesn't own the formulation to their products so their maybe a huge change coming down the road. I'm sure I know who their US manufacturer is but I'm not 100% until I find export records (trickery to find than import records). I do know that their Italian manufacturer is Gotha (who also manufacturers some items for Laura Geller) and their German manufacturer is Kryolan. My guess, Gotha and Kryolan own the formulations to BECCA's most popular items and either Estée Lauder will continue to use them to make BECCA's products or take it in-house to save money. If it's taken in-house then the formulations would change since the formulations are typically proprietary to the manufacturer unless the manufacturer sells the formula to Estée Lauder or if it didn't belong to the manufacturer in the first place. Knowing a bit about how Kryolan makes their products, I'm pretty sure they own the formula not BECCA. I did look into the dates AFTER I wrote my thoughts in Kevin's group. So was the Jaclyn Hill the cause for BECCA to be sold for so little? Possibly, but since the Piper Jaffray acquitition was reported in late March and the Jaclyn Hill fiasco was at the end of May, it's possible that it may or may not have had a hand in Piper Jaffray or Castanea Partners and Main Post Partners to not acquiring BECCA at different points in time earlier this year. It also may have played a part in why the company was sold for so little when compared to IT Cosmetics which is relatively a new company compared to BECCA. One thing is for sure, those of you who are 100% AGAINST animal testing may end up no longer purchasing BECCA because Estée Lauder is said to still test on animals.